Art tours with Claire and Peggi on July 12, 19, and 26 from 5:30 - 7:30 pm. Come for the art, stay for the music. Performance Thursday features live music, complimentary cheese and charcuterie and cocktail specials! 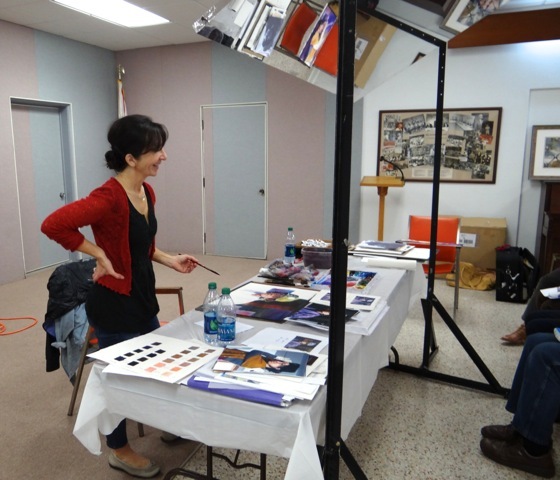 I've been honored to teach workshops and jury art exhibitions for art groups around the country. Currently, I teach two workshops per year. To discuss a three- to five-day watercolor portrait and figure workshop in your area, please contact me at [email protected] or 412.951.9144. 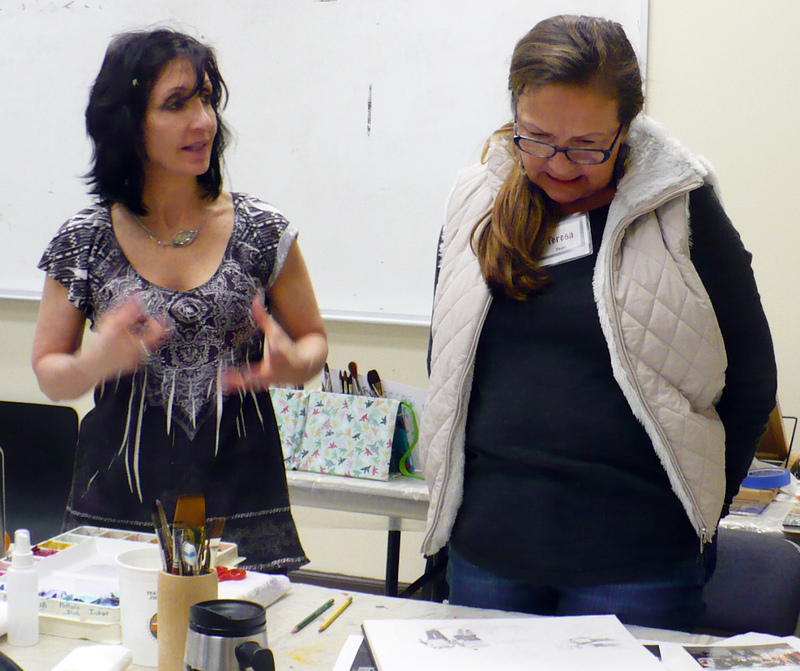 Most of the workshops are appropriate for beginner to advanced levels, although the material will be challenging for students who have never worked in watercolor. The lessons are taught through demos, lecture, presentation, one-on-one instruction, and group critiques. The workshop can be tailored to your group's experience level and interest. BOTH WORKSHOPS: "PORTRAITS, FIGURES AND THEIR SURROUNDINGS"
This 4-day workshop will start with a portrait and progress to a figure or figures in an indoor or outdoor scene. Demos, design, exercises, and lots of one-on-one instruction. The maximum number of students is 12. WORKSHOP 1: "PORTRAITS AND FIGURES" / WORKSHOP 2:: "MAGICAL CITYSCAPES AND LANDSCAPES"